A huge No. 1 hit single from Super Star Mr. Billy Paul and CBS records from 1972 that still packs a punch nearly fifty years later. It’s nee re recorded and released by other international artistes since but nothing comes close to the original version. A story of deep, sincere and perhaps innocent love from a bygone era. The soulful song tells the story of a man deeply in love with a woman he knows he cannot have. The couple meet everyday at the same cafe but they not know what they have is wrong, illicit but they cannot let it go. Billy Paul with his grammy award classic Me and Mrs Jones tells of the doomed love between two responsible adults who have an affair at the beginning of the 1970a. The song, a late night favourite on radio stations for decades, captures the spirit of a love affair between two people at a time when social mores where changing. From the superb album 360 Degrees of Billy Paul, it was a Number 1 ht in December 1972 across the USA and later in 1973 hit the No 2 spot in the UK Top 40. This is song for a time when social mores were changing dramatically. A song that reminds of the decency and integrity of the past in today’s world. The song was the No 1 song in the United States of America for three weeks in 1972. In 1973 it traveled over the Atlantic ocean to the United Kingdom where it reached no. 2 on the UK Top 40. 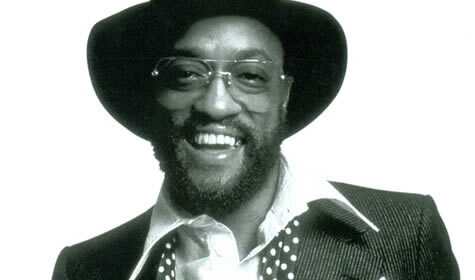 The song, Grammy award winner, was released from Billy Paul’s superlative album 360 Degrees of Billy Paul in 1972. It was written by a 29 year old Mr. Cary Gilbert, Mr. Leon Huff and Mr. Kenny Gamble. Cary Gilbert was affectionately known as ‘Hippy’ and was also involved with Billy Paul’s great hit Don’t leave me this Way. Cary Gilbert died in 1993 from the effects of diabetes at the young age of 50. Me and Mrs Jones is a late night requisite for many late night radio shows and love hours ever since. It’s a song for lovers lost in love telling the story of two people who share a secret love against a world which may very well not approve. Again it’s Love thing and that’s what makes it a huge favorite on Capitol.fm – your world station.